"I have six children and five TPR's (Terminated Parental Rights)...I'm not a model mother," Brandi said. 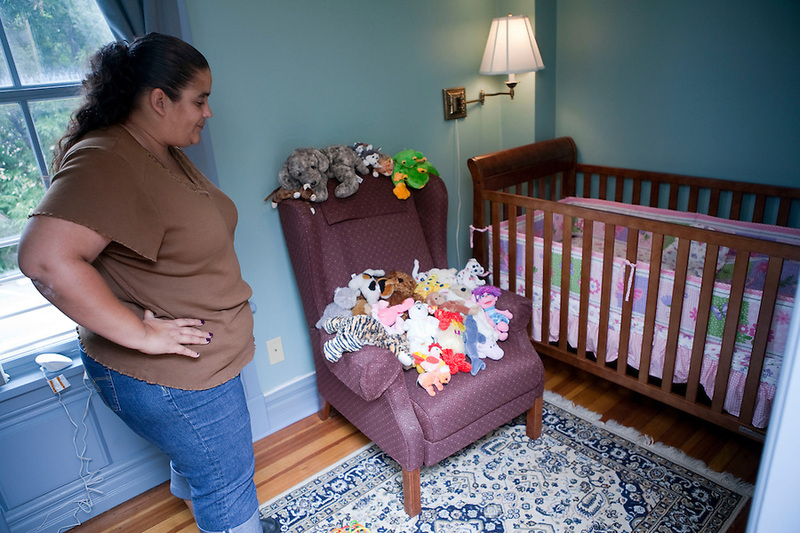 As a resident of The Mother-Child Reunification House program at Amos House in Providence, Rhode island, she prepares for the first unsupervised overnight visit she will have with her infant daughter, Patience. Brandi is one of a group of women taking part in a new program which is using a different approach to reuniting mothers with their children. The program combines life skill training, counseling and treatment in a safe and supportive longterm residential home. For Brandi, this is a chance to change her life and gain custody of her youngest child, the only one not taken permanently by Rhode Island State Child Protective Service. "A lot of my past (behavior) has to do with the children I lost. I have six children, but I do not have any of my children. I can't see the other ones (those given to adoption). I do not know where they are. She's the only one that I have," Brandy said.